Wise Driver Care ist ein universeller, benutzerfreundlicher Gerätemanager. 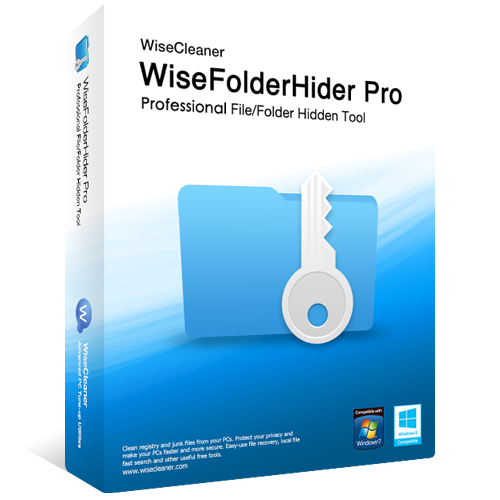 Wise Driver Care Pro 2.1.7 war am 14. August 2017! als Giveaway verfügbar! Wise Driver Care ist ein universeller, benutzerfreundlicher Gerätemanager. Das Tool führt einen gründlichen PC-Scan durch und findet alle fehlenden, beschädigten und unpassenden Treiber, die dann anschließend durch zuverlässige, aktuelle Versionen ersetzt werden. Zusätzlich bietet es euch die Möglichkeit, aktuelle Systemtreiber zu sichern und einen System-Wiederherstellungspunkt zu erstellen. Zusammengefasst hilft Wise Driver Care Benutzern, die Kompatibilität und die Stabilität ihres Betriebssystems deutlich zu verbessern. NB: Die Lizenz unterstützt Upgrades innerhalb von sechs Monaten. Wise Driver Care Pro (1 PC/1 Jahr) mit 50% RABATT! 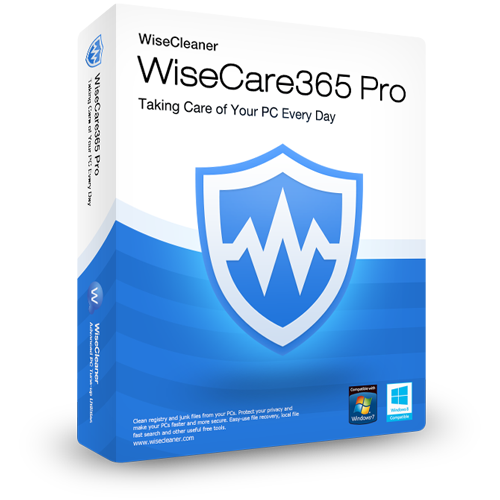 Stabilisiert, sichert und beschleunigt euren PC in nur einem Klick - mit Wise Care 365! Dieses Tool, das weltweit bereits 15,000,000 Mal heruntergeladen wurde, beinhaltet die schnellste Scanning-Engine und liefert somit die wichtigsten Utilities für euren PC. Diese einfach zu benutzende Lösung ist ideal, um die Leistung eures Betriebssystems zu verbessern. 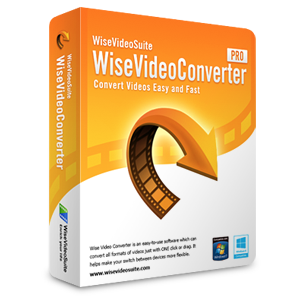 Wise Video Converter Pro ist eine effiziente Ein-Klick-Konvertierungssoftware, die das Umschalten zwischen Geräten kinderleicht macht. Portable Version sowie Batch-Modus sind ebenso verfügbar. Ob ein Handy, ein iPad oder ein PC – ab sofort könnt ihr eure Videodateien überall abspielen. Mit dieser Pro-Version kann uneingeschränkte Anzahl an Dateien konvertiert werden! Vorsicht vor diesem Programm. Hat bei mir den Grafiktreiber gelöscht und einen neuen runtergeladen und installiert. Hat aber wohl nicht ganz geklappt: Installation wurde wegen Fehler abgebrochen. Na Prima! Dafür beide Daumen runter! Vorsicht vor diesem Programm. Hat bei mir den Grafiktreiber gelöscht und einen neuen runtergeladen und installiert. Hat aber wohl nicht ganz geklappt: Installation wurde wegen Fehler abgebrochen. Na Prima! Dafür beide Daumen runter! Uncool: Programm wird zwar aktiviert laut Meldung, aber: Es wird gar nicht erst installiert. Was soll das? NB: Die Lizenz unterstützt Upgrades innerhalb von sechs Monaten. Trialware sollen sich andere installieren. Dafür gebe ich keine $29.50 aus. Treiber werden heute kostenlos auf dem neusten Stand gehalten. Wucher! bei einer Softwareversion die 6 Monate funktioniert kann man wohl nicht von Trialware reden. Was ist denn dann eine Jahreslizenz von Microsoft Office ? Eine Halbe Trialware oder was. Ja Du hast Recht, Treiber werden kostenlos auf dem neusten Stand gehalten, das Programm soll ja helfen neue Treiber automatisch zu finden und zu installieren, denn bei Hardwarekomponenten wird man nicht immer auf neue Treiber hingewiesen. Ach ja, und die 29,50 Dollar musst Du ja nicht ausgeben, ist ja für die ersten 6 Monate umsonst. Verdrehte Welt alles, aber hauptsache meckern. a keeper again, bei einer Softwareversion die 6 Monate funktioniert kann man wohl nicht von Trialware reden. Was ist denn dann eine Jahreslizenz von Microsoft Office ? Eine Halbe Trialware oder was. Ja Du hast Recht, Treiber werden kostenlos auf dem neusten Stand gehalten, das Programm soll ja helfen neue Treiber automatisch zu finden und zu installieren, denn bei Hardwarekomponenten wird man nicht immer auf neue Treiber hingewiesen. Ach ja, und die 29,50 Dollar musst Du ja nicht ausgeben, ist ja für die ersten 6 Monate umsonst. Verdrehte Welt alles, aber hauptsache meckern. Recently this came together with Wise Care itself as a GOATD, with no limitations, and there is one word of warning. After running Wise Driver Care you have to reboot, and doing this will mess up completely your desk top. The resolution will be changed and icons will be scattered all over the place. You will have to redo your resolution, so make a note of what it is first, and to re-arrange your icons. This causes a lot of once-only trouble but is a small price to pay for an excellent programme for which I make no criticism. I am surprised though that here the driver care is offered alone with limitations while previously it came with Wise Care and without limitations. How many times do I have to "verify" this abominable catchka or whatever for one entry? Recently this came together with Wise Care itself as a GOATD, with no limitations, and there is one word of warning. After running Wise Driver Care you have to reboot, and doing this will mess up completely your desk top. The resolution will be changed and icons will be scattered all over the place. You will have to redo your resolution, so make a note of what it is first, and to re-arrange your icons. This causes a lot of once-only trouble but is a small price to pay for an excellent programme for which I make no criticism. I am surprised though that here the driver care is offered alone with limitations while previously it came with Wise Care and without limitations. How many times do I have to "verify" this abominable catchka or whatever for one entry? Did I read this right, it will only work for 6 months? If so, what is the point, this isn't a giveaway, just a long trial period, nothing free when you can't use it in 180 days. Sad, looks like they pulled one over on this website. Free means free, not "here take this, but we are going to take it back later, sorry"
"Program stopped working" error when trying to install with Avast active. However there is a message that the program was activated successfully. This is misleading. Program installed without problem when Avast was deactivated. PC Checkup: updatable drivers mentions 3 drivers defined as "installed". Special software has been installed, but which one ? Zero info about this. Driver residue: 540 MB for graphics driver, but only one option: delete. Delete what ??? So this first part (PC checkup) was useless in my case. Part 2: rescue center: allows only to backup a few drivers (only graphics, audio, ethernet and monitor). That' s all. What about other drivers ??? Part 3: hardware detection: very limited. Lot of free softwares give much more and more detailed info. Part 4: toolkit: only 3 items: sound: no sound error, but if I click on the item, the program does a repair of the non existing problem!!!. Network failure (just used the network to download this program): again repairing a non existing problem... And finally, support Center: "do you have any questions or suggestions..." Again useless, useless and useless! 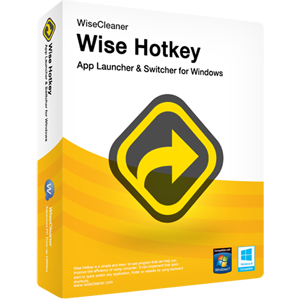 I frequently use Wise care 365 to my entire satisfaction, but I didn't find a single tool in Wise Driver that helped me "to increase and improve my systems compatibility and stability". Sorry for passing this one, but thanks to GOTD and Wise for the offering. "Program stopped working" error when trying to install with Avast active. However there is a message that the program was activated successfully. This is misleading. Program installed without problem when Avast was deactivated. PC Checkup: updatable drivers mentions 3 drivers defined as "installed". Special software has been installed, but which one ? Zero info about this. Driver residue: 540 MB for graphics driver, but only one option: delete. Delete what ??? So this first part (PC checkup) was useless in my case. Part 2: rescue center: allows only to backup a few drivers (only graphics, audio, ethernet and monitor). That' s all. What about other drivers ??? Part 3: hardware detection: very limited. Lot of free softwares give much more and more detailed info. Part 4: toolkit: only 3 items: sound: no sound error, but if I click on the item, the program does a repair of the non existing problem!!!. Network failure (just used the network to download this program): again repairing a non existing problem... And finally, support Center: "do you have any questions or suggestions..." Again useless, useless and useless! 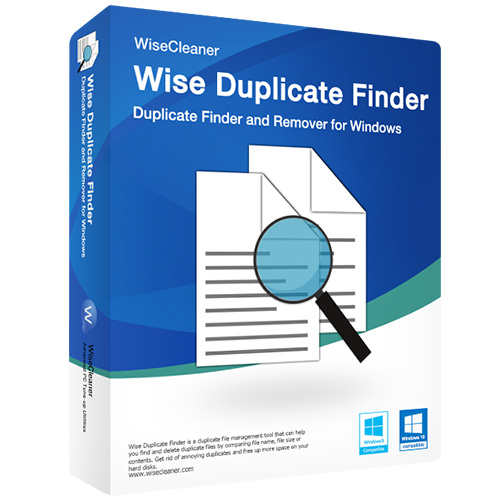 I frequently use Wise care 365 to my entire satisfaction, but I didn't find a single tool in Wise Driver that helped me "to increase and improve my systems compatibility and stability". Sorry for passing this one, but thanks to GOTD and Wise for the offering. GOTD stopped using their installation wrapper yesterday and the day before yesterday, so there were no installation issues in those two days. Today they use the installation wrapper again and the installation issues have returned. GOTD stopped using their installation wrapper yesterday and the day before yesterday, so there were no installation issues in those two days. Today they use the installation wrapper again and the installation issues have returned. Ok commented on FB but that was a waste of time so same comment here. Downloaded as per instructions (4 Times), tried each time to setup again as per instructions in readme file. 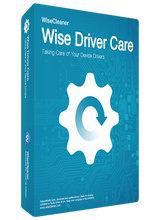 each time I receive the Wise Driver Care Pro 2.1.7 activated — what next? And still no sign of software actually installing on my Win 7 laptop.